Legdin exited Pacific Magazines earlier this year after an 11 year stint. She was most recently group publisher of its weekly brands hub. She will replace Marina Go who was general manager of Bauer’s Hearst brands, including Elle, Harper’s Bazaar and Cosmopolitan. As well as Go’s previous titles, Legdin will take on Dolly, Shop and Men’s Style as part of her expanded role as general manager of fashion, health and beauty. The move follows Chan’s announcement that Bauer will be reorganised under five consumer segments, including women’s entertainment and lifestyle, homes, food, fashion, health and beauty, and motoring and trader. 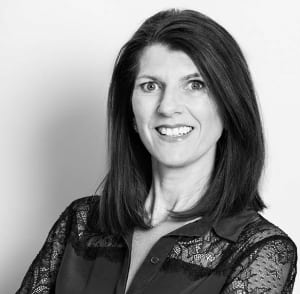 As part of the restructure, current publisher of mass brands TV Week, NW, OK and Take5, Jayne Ferguson, becomes general manager of women’s entertainment and lifestyle, which will include The Australian Women’s Weekly and Woman’s Day. Cornelia Schulze, currently publisher of the specialist division, moves to general manager of the food and homes segments. Brands that do not fit into the five segments will transition to content and specialist publishing business BauerWorks to align with Bauer’s other specialist brands. This could mean more redundancies will be made, however Bauer has said it will not be axing any magazines at this point. Eugene Varricchio remains as lead of that business in addition to his role as operations director. Chan adds: “Our highly experienced executive team will implement and drive our new strategy going forward. 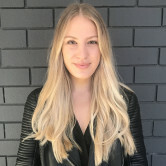 Fiona Legdin will join Bauer Media under the latest restructure put in place by CEO Nick Chan last week.